Home > Headlines > News > 5,000 Air Miles Winner for August! 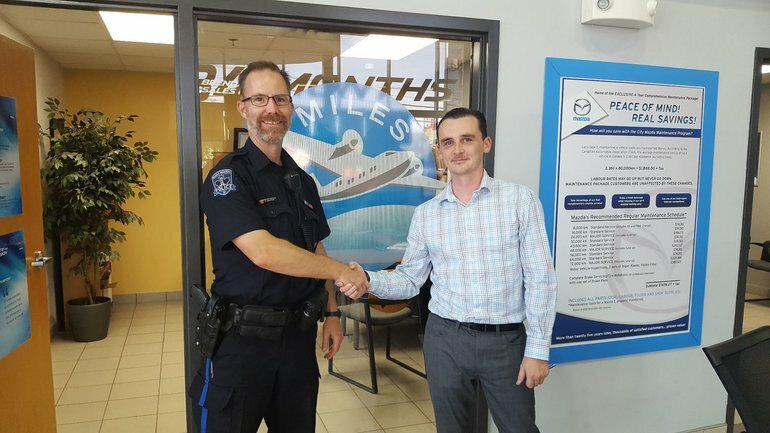 August's new car purchase winner of 5,000 Air Miles Chris MacPhail (left) and Dave Baker (right), Car Manager. Congratulations Chris! This is Chris and his family's third Mazda vehicle.